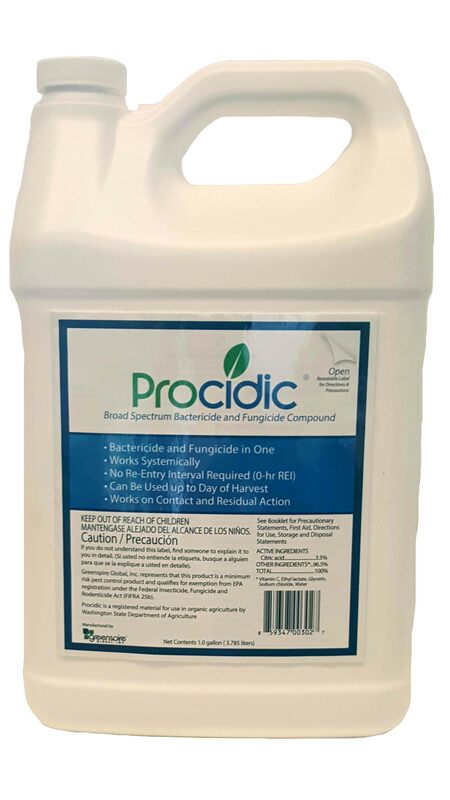 Greenspire Global recently launched Procidic, an agricultural bactericide and fungicide that provides disease control without synthetics. Using Procidic can lessen or eliminate the need for traditional fungicides, according to a release from Greenspire. It is also a tool for rotation on programs for fungicide cross resistance management.